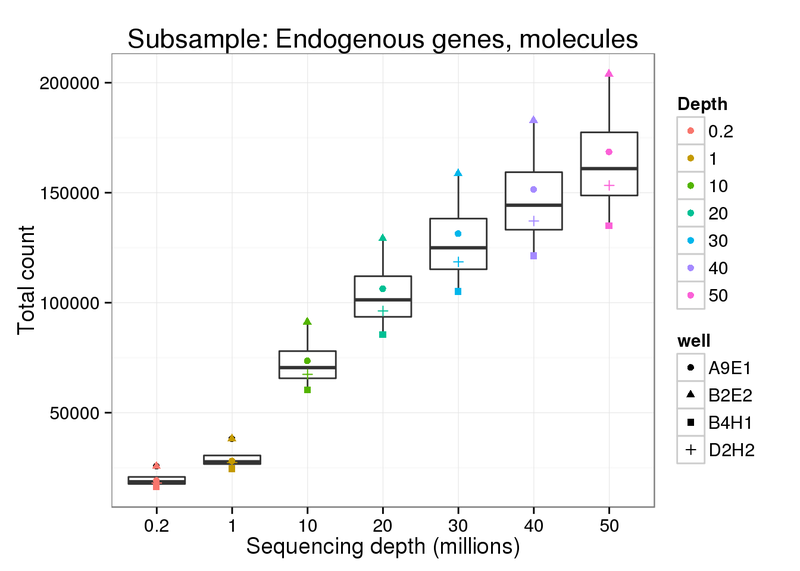 Run for each single cell for each sequencing depth. 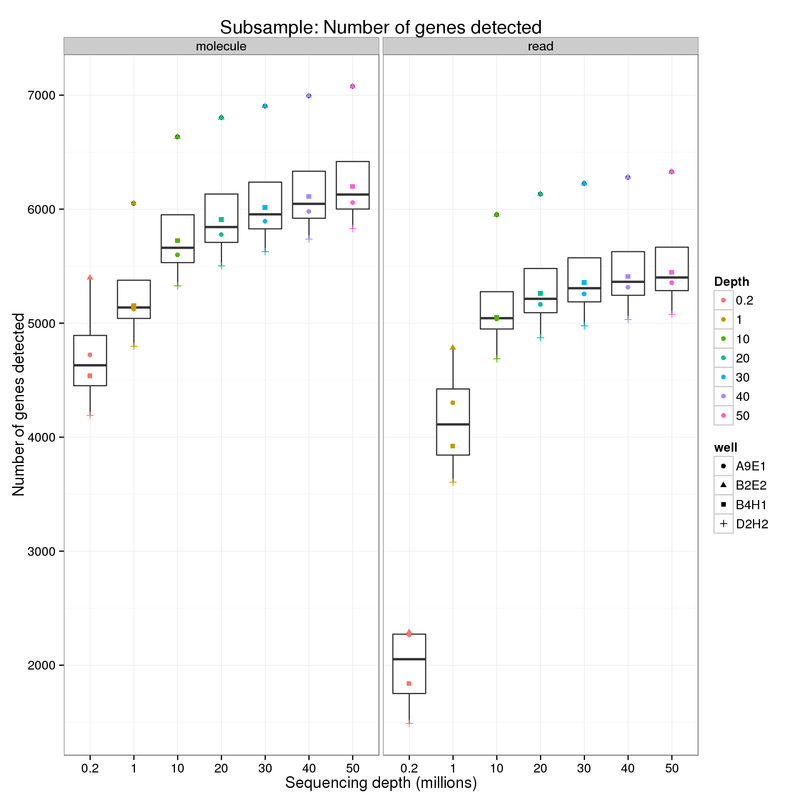 The analysis is performed by detect-genes.R. 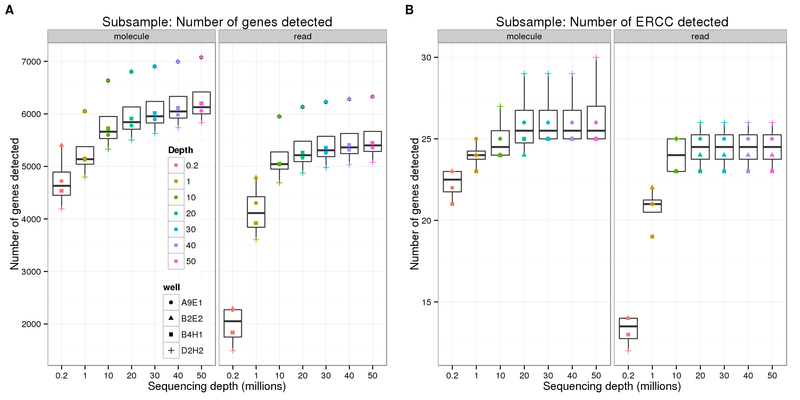 CMD="detect-genes.R $CELLS $SEED molecule-counts-$NUM.txt --min_count=1 --min_cells=1 --wells=$WELL --gene=$GENE"
CMD="detect-genes.R $CELLS $SEED read-counts-$NUM.txt --min_count=10 --min_cells=1 --wells=$WELL --gene=$GENE"
Convert to one file using Python. Run from $ssd/lcl/full-lane. 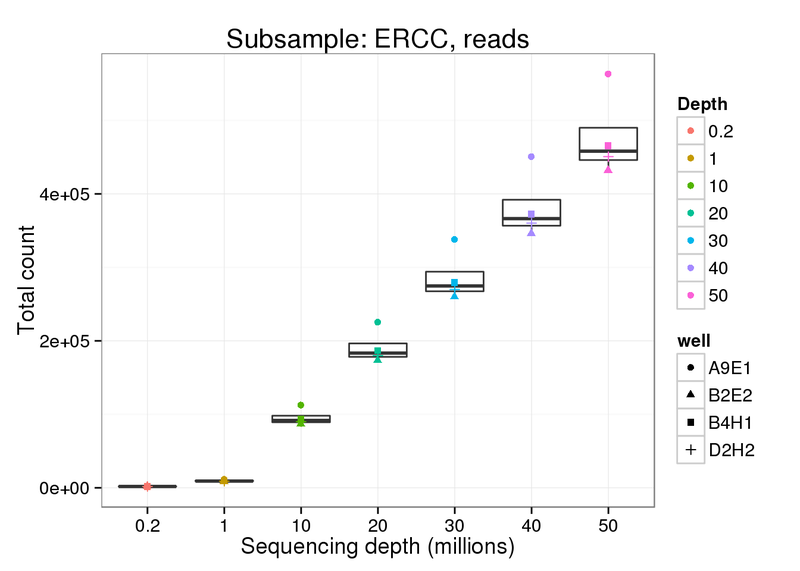 For the analysis of read counts, a gene was detected if it had greater than 10 reads. 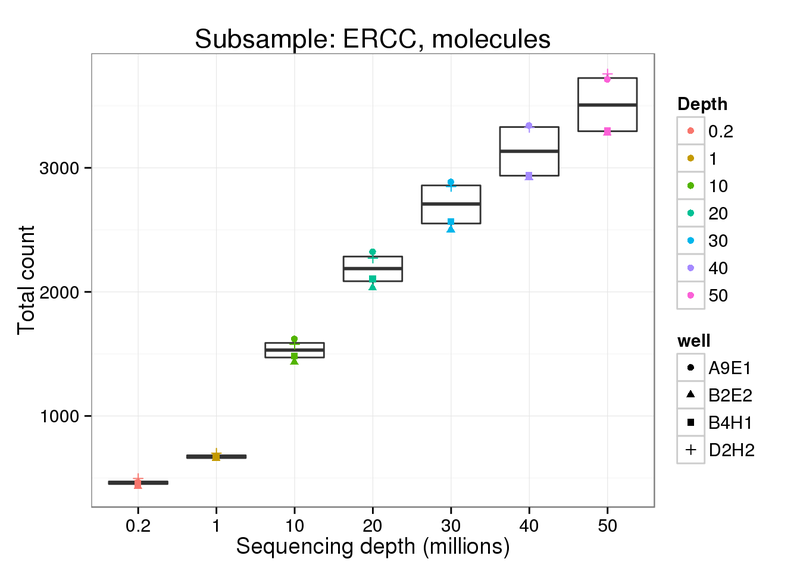 For the analysis of molecule counts, a gene was detected if it had greater than 1 molecule. 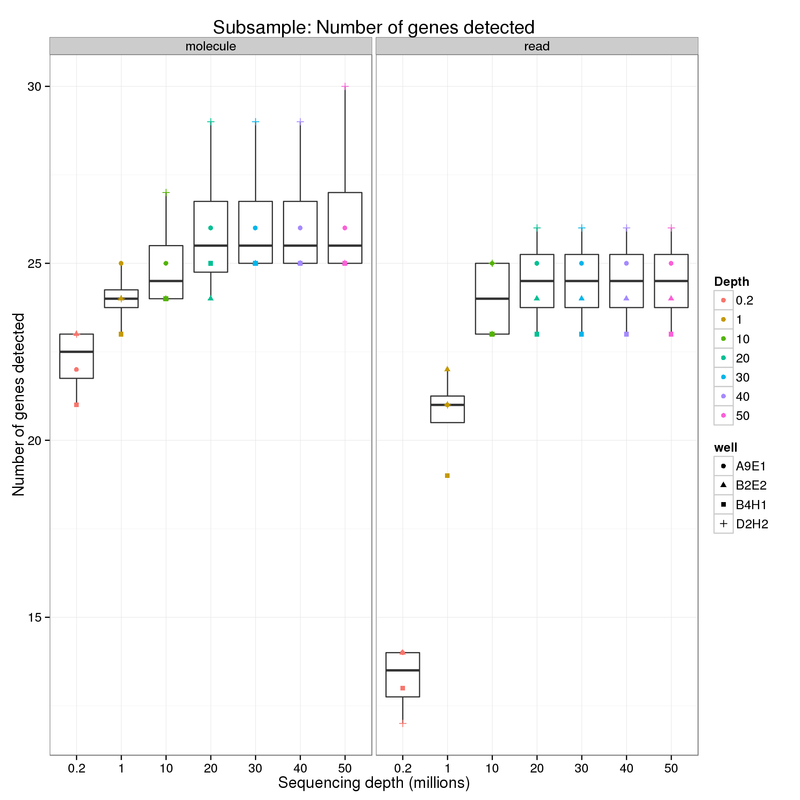 Explore the effect of subsampling sequencing depth on the total count. 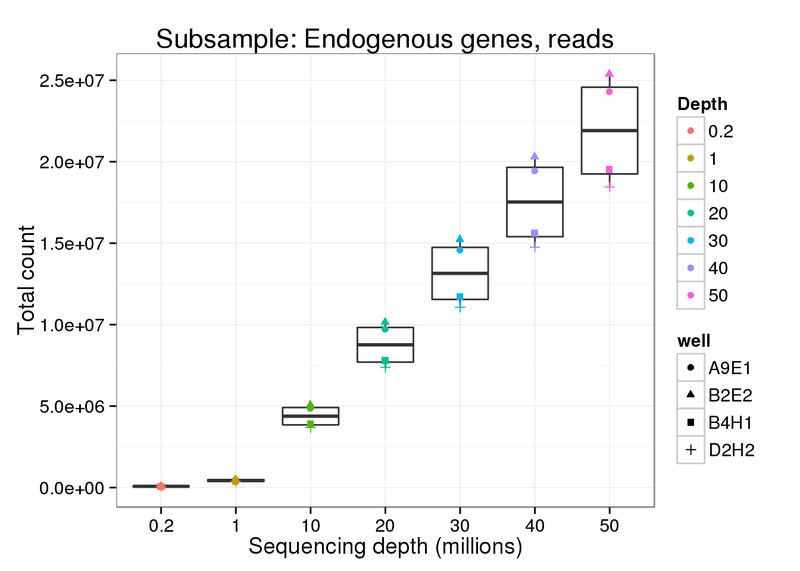 Only includes counts of genes which had the minumum count (10 reads; 1 molecule).